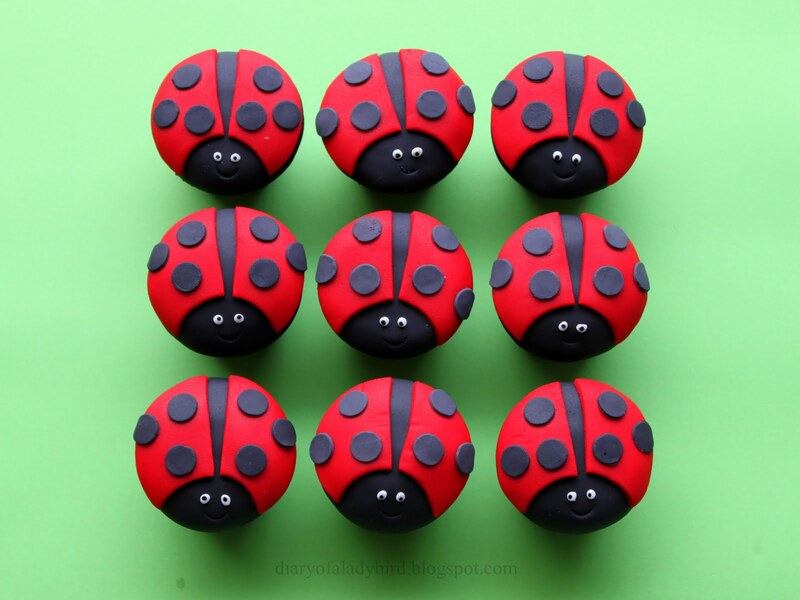 I can't believe I've been blogging for almost 2 years now and have never made Ladybird Cupcakes before now! Well today's post addresses this most despicable oversight in Diary of a Ladybird's archives, and hopefully this mini-tutorial will guide you through how you can make them too. The inspiration for these comes from the Planet Cake decorating book by Paris Cutler. Bake your cupcake of choice. I chose my favourite chocolate cupcake/cake recipe, but you could also go for a classic vanilla cupcake. 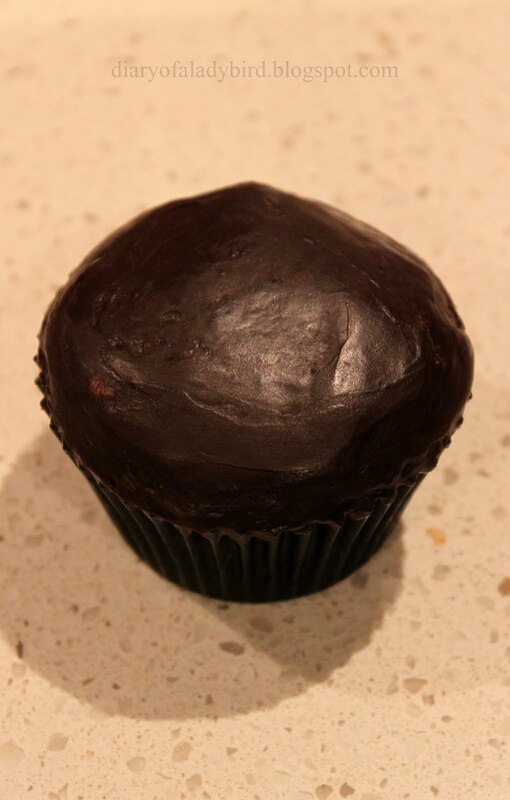 Using your ganache of choice, roughly ganache the tops of the cooled cupcakes. 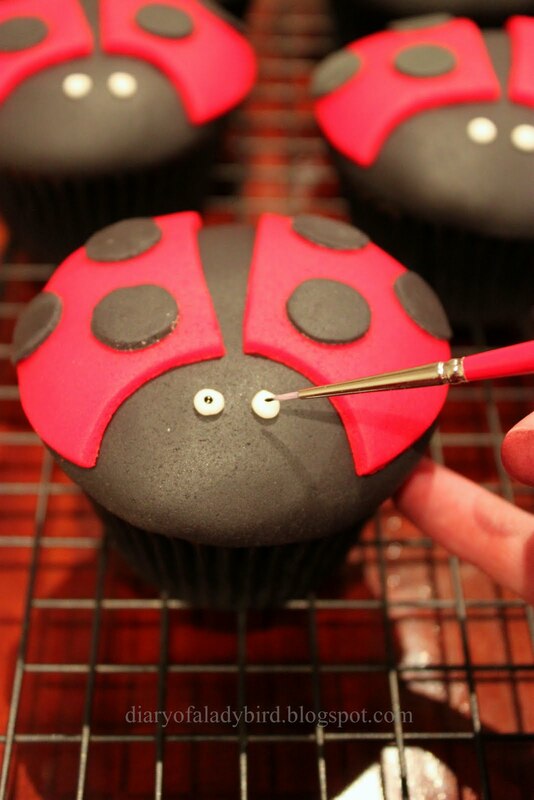 Allow to set for at least half an hour, then smooth over with a palette knife dipped in hot water to create a perfectly smooth and even cupcake surface. Allow to set for at least an hour, and once dry to touch they are ready for decorating. 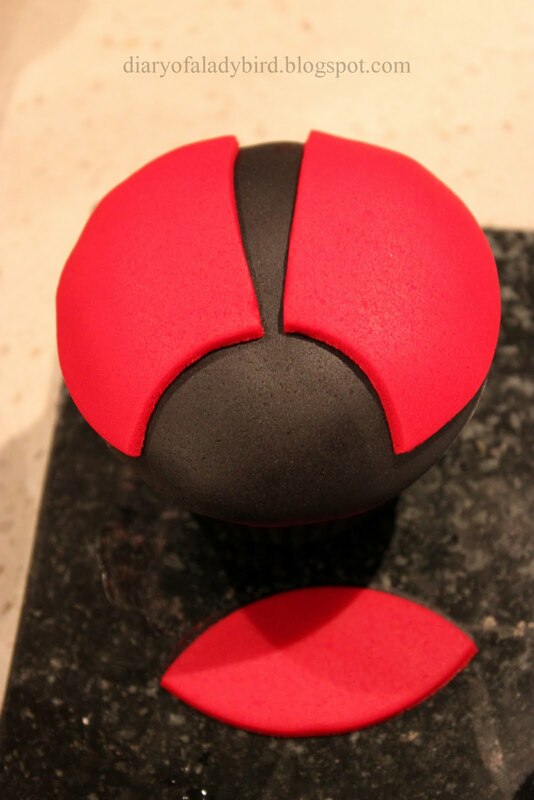 To cover and decorate the fondant you will need black and red fondant, as well as a very small amount of white fondant. 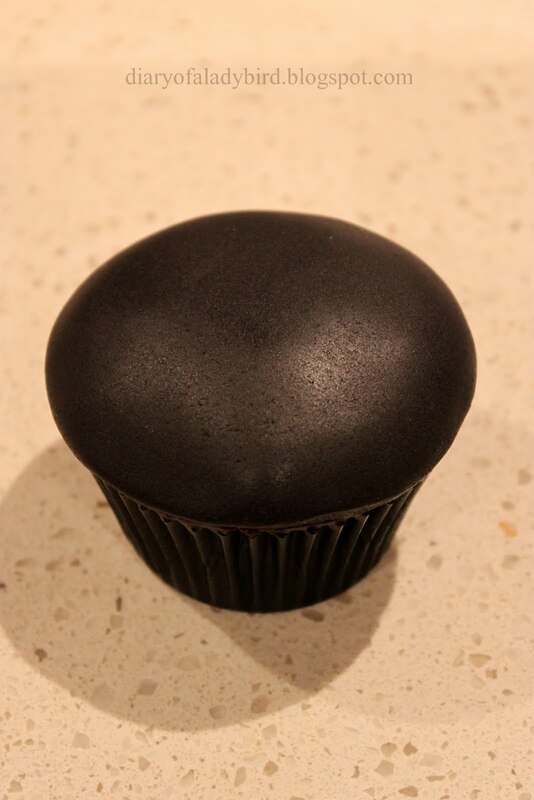 Roll out your black fondant to a 3mm thickness, and cut out circles with a circle cutter to fit the top of your cupcakes. Lay and smooth the fondant on top of the cupcake. Using the two larger pieces, dab/brush a small amount of water on the reverse of each and lay them on top of the cupcakes with the red pieces (wings) splayed apart slightly. 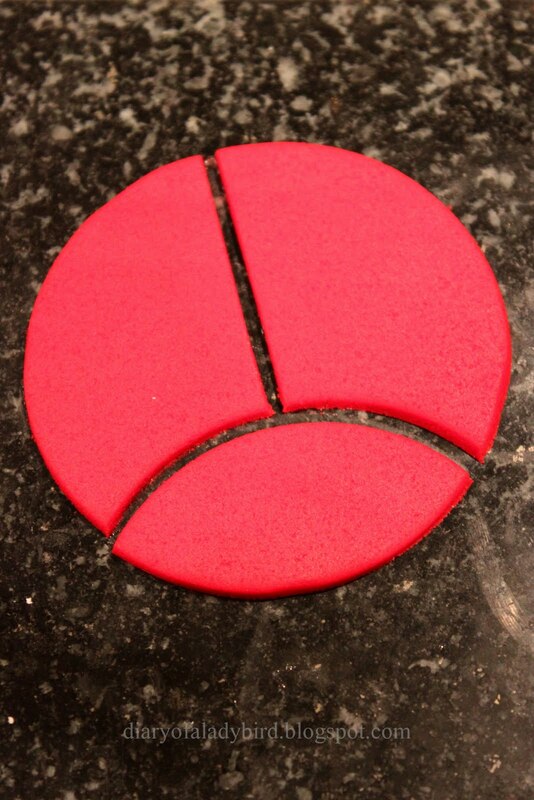 Discard the remaining piece of red fondant. 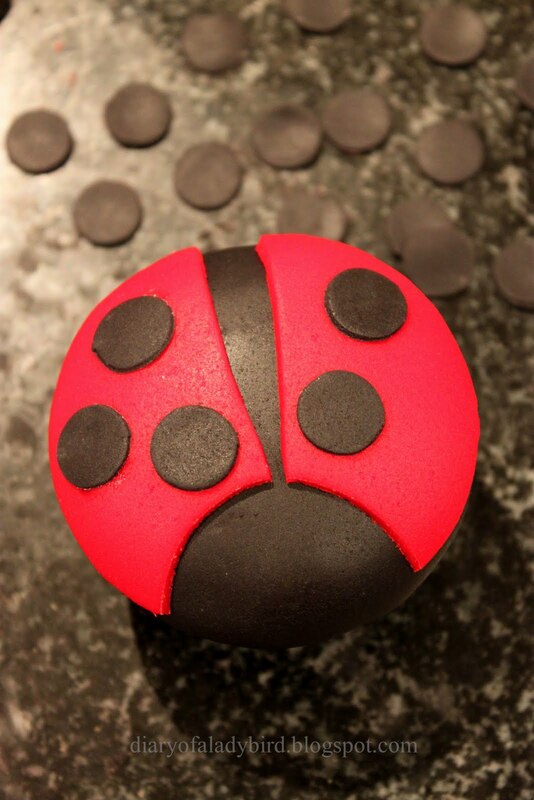 Using a small circle cutter, cut out the ladybird spots from some rolled black fondant and attach them to the wings with a tiny amount of water dabbed beneath each spot. 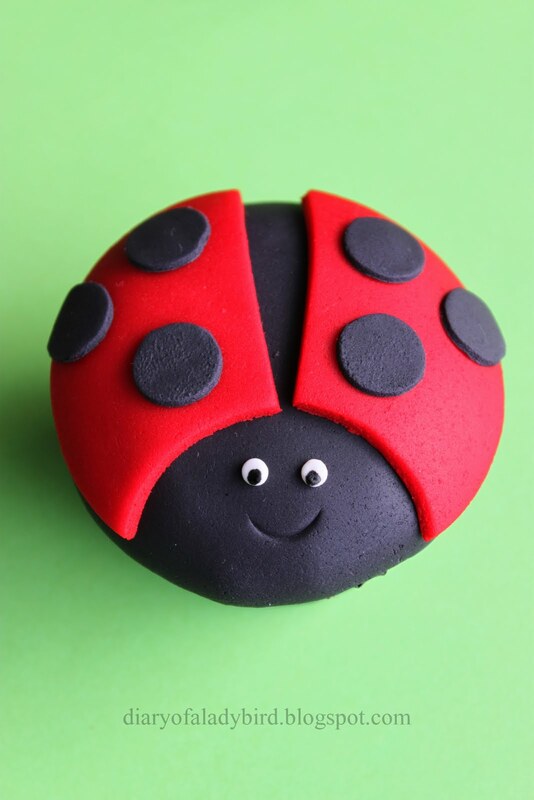 To make the ladybirds' eyes, roll tiny balls of white fondant and attach them to the cupcake (with a tiny touch of water if necessary). For the pupil in each, use a very fine paintbrush and a little black food dye. Finally, press part of the end of a plastic straw (or a clean plastic pen cap) to create the smile indent in each ladybird's face. PS- Remember my salted caramel, peanut and chocolate tarts? I've entered my recipe into the Lurpak Callenge and I'd really appreciate your support in the final days of voting. To vote for my original recipe, please click here! Wow, those are amazing! 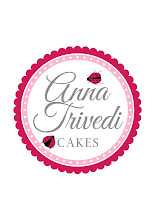 You will make the best birthday cakes/cupcales for your little one! A Perfect way to celebrate your theme! These babies would be a sell out! And in chocolate.. I'm sold. They are so cute, i really should have a go at fondant icing. Love these cupcakes! You are so creative! 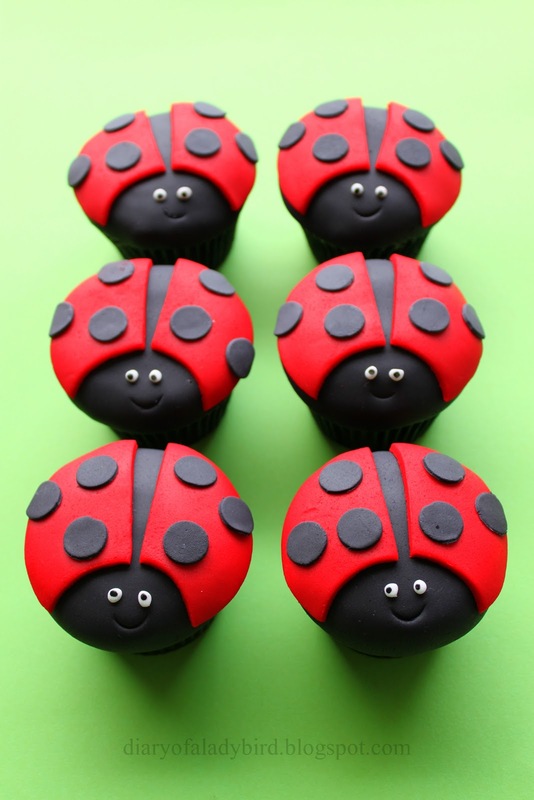 These ladybug cupcakes are so cute! Thanks for the how to. Win a $50 Byron Bay Cookie Company hamper!